In Karan Johar’s 2010 Bollywood film My name is Khan, the main protagonist Rizwan Khan (played by Shah Rukh Khan) a young man suffering from Asperger syndrome, insists that the correct pronunciation of his last name is ‘Khan’, produced from the epiglottis. The Urdu sound in kh̲an is the same as the one in kh̲vab, ‘dream’, produced in the throat, which is different from the sound [kh], for example in khel (sports). Gulzar, the acclaimed poet, made a comment in The Frontline about the decline of Urdu sounds. He mentioned how the Urdu sound /kh̲/ when mispronounced in the word dawa kh̲ana (pharmacy) as dawa khana, means something different, ‘to take medicine’. The sound /kh̲/ in the name ‘Khan’ is one of the five sounds, namely /f/, /z/, /kh̲/, /gh̲/, and /q/ that distinguish Urdu from Hindi at the spoken level. They occur in Urdu words such as fareb (deceit), zulm, (oppression), kh̲andan (family), gh̲alat (wrong), and qismat (destiny). 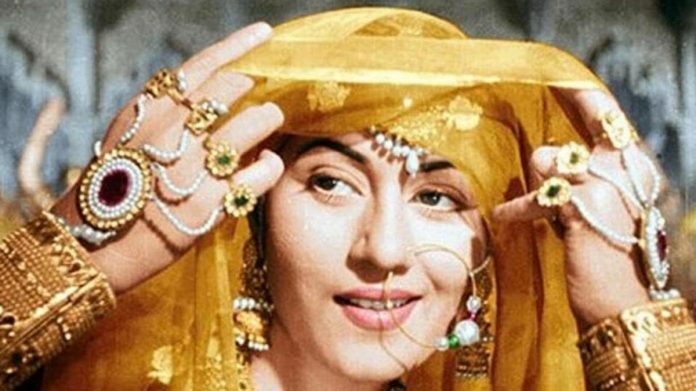 You can hear the sound [kh̲] enunciated as per Urdu phonetic norms by Lata Mangeshkar, whose mother tongue is Marathi, in her song ‘Kh̲uda nigahban ho tumhara’ from the film Mughal-e-Azam. We can understand the significance of the Urdu pronunciation from the story Nasreen Munni Kabir narrates in her book on Lata Mangeshkar. Lata, being a Marathi speaker, was initially unable to pronounce these sounds correctly. However, she realised how critical they were and became determined to learn Urdu. She reminisces that after finishing recording for the 1949 film Mahal, Jaddanbai, Nargis’ mother, herself a celebrated singer, complimented Lata and said that she pronounced the Urdu word baghair (without) correctly in the song ‘Aayega aane waala’. Asha Bhonsle, another great singer who charmed many generations with her captivating voice, too laments the decline of Urdu sounds in Hindi songs and notes, “Today’s singers don’t know Hindi. As far as their knowledge of Urdu is concerned, let’s not talk about it at all”. It was not the singers alone who took the Urdu diction seriously. Music directors made sure that the songs they produced met the standards. Naushad, the maestro, in a tribute to Lata on her 70th birthday mentioned: “In fact, Mehboobsaab would tell me that she is a Marathi girl, her pronunciations are not right, and I was making her sing a ghazal. I took the responsibility of making her perfect her pronunciation”. Manna Dey, a native speaker of Bengali, in which these sounds do not exist, once noted that C. Ramchandra taught him how important pronunciation was and that he would not allow any word to be mispronounced. In my research paper “My name is Khan… from the epiglottis: Changing linguistic norms in Bollywood songs” published in the Journal of South Asian Popular Culture, I examine the erosion of the pronunciation of the Urdu sounds /kh̲/, /gh̲/, and /q/ across decades starting from the 1960s to the 2010s. I did this by creating a corpus of songs that won the Filmfare awards. The corpus consisted of 226 songs from Yahudi (1958) to Talash (2014), which were sung by a total of 44 singers from different linguistic backgrounds. I studied the lyrics from the perspective of whether the sounds /kh̲/, /gh̲/, and /q/ were pronounced like Urdu, or were they merged with the sounds /kh/, /g/, and /k/. My research shows that until the end of 1980s, they were performed by singers, regardless of their religious or linguistic backgrounds, according to the Urdu phonetic norms. The only exception was when the song was written in a dialect of Hindi for a folk character in which case they were pronounced according to Hindi norms. An example of this is the song Nain lad jaihen to manwan man kasak hoibe kari from the 1961 film Ganga Jumna in which Mohammad Rafi sang for the rustic and uneducated character Ganga. In this song, the Urdu sounds /z/ and /gh̲/ in words rozgaar (job) and gh̲azal were pronounced as rojgaar and gajal. With the advent of the 1990s, the linguistic norms that Bollywood cherished and enforced for decades began to transform. The songs produced from the 1990s do not show the same standards of pronunciation. Singers such as Shreya Ghoshal perform them according to Hindi norms. In the 2012 film Barfi, she pronounces the /kh̲/ in the Urdu words shaakh̲en (branches) and kh̲archaa (expense) as /kh/, as per Hindi phonetic norms. Similarly, Ghoshal and Shankar Mahadevan perform the sound /kh̲/ in the refrain Noor-e kh̲uda and kh̲vabon (dreams) as per the Hindi phonetic norms in the film My Name is Khan. Other examples include Kumar Sanu and Alka Yagnik in the song Kisi se tum pyaar karo, in which they perform the Urdu sounds /q/ and /kh̲/ in words iqrar (confess), kh̲ushi (happiness) and ashiqon (lovers) as per Hindi norms. The words iqrar, kh̲ushi, and ashiqon, sound as ikrar, khushi, and ashikon. Although the paper does not delve into all the factors responsible for this linguistic erosion in Hindi songs, it does discuss some. First, the decline of Urdu sounds began in the 1990s, which marks the rise of the Hindutva politics and the beginning of the mushrooming of cable television networks. Urdu, which was still highly valued in the 1990s, became isolated from the mainstream. Second, the erosion could also be reflective of the decline of the Urdu language in India in general. A third possible factor is the gradual disappearance of the old generation of writers, lyricists, playwrights, and music directors, regardless of their religious identities, who were educated in the Urdu language and culture and the appearance of a new generation educated in the Hindi and English linguistic traditions. They do not have access to the linguistic resources of Urdu and therefore their language shows the norms associated with a mixed-language containing elements of Hindi and English to the exclusion of Urdu. The multiple factors responsible for the change may be debatable. However, what is not debatable is the fact that the shibboleth of the Bollywood diction, at whose core was Urdu, is slowly withering away. The author is Associate Professor of Sociolinguistics, Department of English Literature and Linguistics, Qatar University, Doha. A timely article. Lament is genuine. Languages and cultures are not still ponds; they flow and change with time. Mirza Ghalib is long dead. Not that one does not appreciate his contribution. True, forcing a culture to change and mould along a specific path is not very acceptable. The above lament by the author reminds me of a colleague of mine from a long time ago. We were both south Indians of a non-Tamil mother tongue. This guy would get a laugh at the expense of our north Indian co-workers. This was how he used to go about. He would corner a north Indian and request him to pronounce “Muttukannan”. This northern fellow would try his best to repeat after him to do his best in elocution. None of his efforts at “Muttukannan” would satisfy the southern colleague of mine. No matter how perfect the northerner’s elocution was, this guy would shake his head and say it was nor alright. This would go on till the northern colleague would accept defeat and move on! That would be doing “Muttukannan”. The author is out to do a “Muttukannan” on Hindu speakers. He has nothing but a few sounds that are there in Urdu but not in Hindi. His research is poor. Much more than a few Urdu sounds from the days of early cinema are missing when it comes to present-day Bollywood Hindi. But the author has not put in sufficient efforts in researching them. Though the idea of the column is good, the author has not put in sufficient efforts in looking at other aspects such as culture, the market for the movies etc., in affecting the language. Even Pakistani singers have started pronouncing Khe as Kh. Listen to Atif Aalam singing the famous Kabhi kabhi mere dil mein Khyaal aata hai where he pronounce the guttural Kh in Khyaal as aspirated kh. My stomach turned hearing that. What’s wrong with these singers? They should listen to Lata Mangeshkaar and Mohammad Rafi etc for correct diction. Thanks for brining this to my notice. I didn’t know that. I guess the rigor is gone from the profession. Languages have always have been evolving with the passsge of time. The word baghair is Urdu that translates to “bin” or “bina” in Hindi. The language of mainstream Indian movies is still Urdu. One hardly finds any difference in langauage spoken in north India and Karachi. Very distinctly not like Marathi, Punjabi, Tamil etc. I think we are talking about accents here. With due respect to all singers, you may skirt the issue for political compactness, but the main reason was the inability of all modern day singers to pronounce correctly due to many issues. The main issue was the lack of preparatory time as the modern technical instruments have low lead time hence easy to churn out. This meant experimentations with no orchestra and artists. Various HR issues were there as Indian music was amalgamating singers from all over India hence each had to be duly considered. This article, and what it expresses, are not only telling but also timely. I would even go further and say that apart from the diction, even good Urdu lyrics, which were the life and soul of songs in the Film Industry until about the 1970s, have vanished. Imagine ‘Arth’ without the verses for songs in it written by Kaifi Azmi. Composers such as Khayyam, Roshan, Madan Mohan, and Jaidev went out of the way to have particular lyric writers for their songs. Lyricists such as Shahryar, Sahir, Gulzar, Majrooh, Kaifi Azmi, Raja Mehdi Ali Khan, and many others were sought out by these composers to write for them. And they produced such glorious poetry in Bollywood songs ( unfortunately many remain unknown owing to the movies having flopped) that it was indeed difficult to say which made the song more popular: its tune or its lyrics. I am 83, STILL crazy about songs of that era and, strongly believe that the Urdu of those songs was superior to the tunes and the instrumental score. Sadly, today, it is more fashionable to produce ‘noise’ rather than songs, and if you cannot make out the words, why, that is exactly what the “Music Director” wants. You are raising a much larger issue of relating to poetry and the music composer. Many people do see that the decline is impacting other aspects of the profession too. When I learned Hindi in my childhood, Urdu sounds of خ، غ، ق were used to be distinguished by placing a bindu, a point over Hindi Ga, Kha, Ka. Then some Hindutva intellectual decided to remove them for purifying Shuddh Hindi. I am forgetting his name. It was then that all mayhem began. Hindi became all the poorer ! Otherwise, it is such a wonderful script for all producing all sounds in Hindustan. By the way, the Word hindu itself is a Persian word meaning black in modern and mediavel Persian. Most probably derived from Sindhu or Indus. Nice and well articulated article from the pen of har dil azeez rizwan Ahmad.